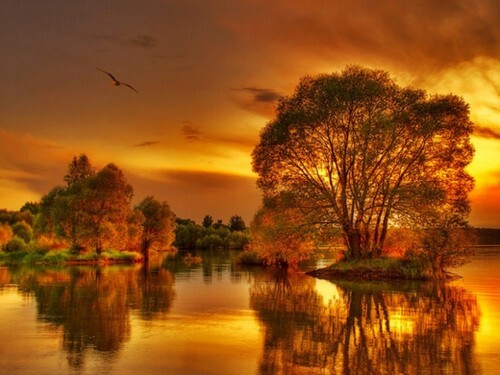 Gold Nature. Gold Nature. HD Wallpaper and background images in the Daydreaming club tagged: daydreaming beauty princess fantasy fairytale art photo literature nature. This Daydreaming wallpaper contains sunset and sunrise. There might also be beech, beech tree, business district, downtown, lakeside, and lakeshore.